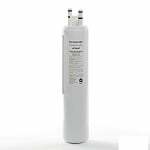 The Electrolux SmartChoice SCWF3CTO / PureSource 3/WF3CB replacement refrigerator water filter is a genuine Electrolux certified filter that improves water quality and taste. 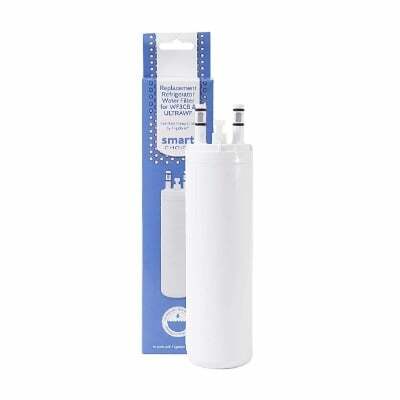 The SmartChoice SCWF3CTO is designed for quick installation and to create clean and clear water flowing through your refrigerator at all times. When impurities such as chlorine make contact with the activated carbon filter, they become trapped while clean water is dispensed. When water is treated by municipalities, chlorine is used as a disinfectant. The downside is this disinfecting process leaves an unhealthy and unappealing aftertaste. Thankfully, the Electrolux Certified SmartChoice SCWF3CTO makes water taste fresh and is easy to install. 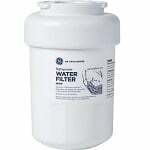 Replace your SmartChoice filter every 6 months for optimal performance and drinking water quality. Dimensions: 2.2" x 2.2" x 9.2"
NOTE: You may notice that your filter is smaller in size than the original manufacturer's filter. Please be assured that it has the same flow rate (0.5 gpm) as the original manufacturer's filter and will fit your refrigerator. 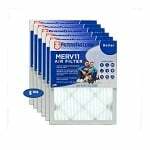 You may also notice that the filter you remove is significantly heavier than the new filter. This is normal because the filter you remove is often saturated with water.